Welcome to Organic Wine, a collection of information and ideas on the work of Jesus in building his one church the way he wants it. Introduction - I'm just starting to make some changes here and bring Organic Wine up to date. It may seem a bit disorganised until that work is complete. The collection of relevant links will grow over a period of time. Some of them will point back to the old wiki version of Organic Wine until they can be migrated here. There's a link to the old CO2 page in the list below. A little more detail - There are hints of a major change beginning in organic church. Only Father knows where he is leading us, our place is to enjoy the journey and give him all the glory for whatever he may do. 'Organic' church tends to exist as small, family-sized groups. We also see it as living and self-reproducing. But the individual meetings are containers for the precious life of Christ amongst his people. Church of every kind (not just small and organic) should have Jesus at the centre. He is the Living Water flowing into the world. If we are not excited about the presence of the King amongst us we will not go very far. 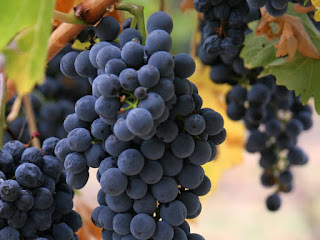 For more detail please read About Organic Wine.